The past couple of years have certainly been the years of traveling to Iceland. From the stunning topography to the charming natural wonders here. Iceland has been on almost every traveler's wish list. And for very good reason too. If you are planning a trip to Iceland, then it is a must that you plan a visit to the iconic city of Reykjavik. When it comes to the country of Iceland, there is no shortage of beauty to witness in this stunning country. The same goes for the fabulous city of Reykjavik. There is simply so much beauty and history surrounding you in every corner in this fantastic location. Today, we are going to take an in depth look at some of the best things to do in Reykjavik. When it comes to the natural elements of the world, water is something at that Iceland natives value. From fishing to environmental conservancy, weather plays an integral role in the culture of Iceland. This can be seen in the way that Iceland appreciates swimming pools. In fact, you do not have to leave Reykjavik to find some of the best swimming pools around. Swimming is such an integral part of Reykjavik. In fact, you can find 18 swimming pools in the city itself. Because of this, one of the best things to do in Reykjavik is to go to one of their awesome swimming pools. When it comes to figuring out which swimming pool to go to, there are a couple that stand out more than others. For example, one of the most popular swimming pools in Reykjavik is the Sundhöll Reykjavíkur. This swimming pool is located not too far from the Hallgrímskirkja Church. If you plan to visit the church, then make some time to visit this pool. The history behind the swimming pool is quite fascinating. It is housed in a building that dates all the way back to 1937. Because of this, this is the swimming pool that is considered to be the oldest swimming pool in Reykjavik. Currently, this renovated space includes a brand new outdoor poo. Along with their indoor pool, it also comes complete with 2 hot tubs and 3 saunas. These amenities make for the opperunity to have an exceptional experience. 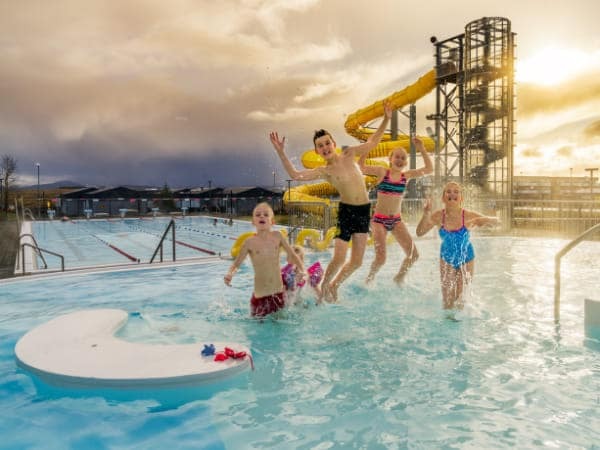 Another one of the best pools in Reykjavik to visit is the popular Vesturbæjarlaug. Vesturbæjarlaug Is located on the west side of the city. Though it is a little bit out of the way, it is still an exceptional pool to visit. This outdoor pool includes hot tubs and saunas. And it's perfect for lounging in on a lazy day. Because of its location, you can expect to mainly find an equal mix of locals and travelers here. What makes this pool so wonderful is the fact that it is located right next to a cute cafe. After a relaxing day at the pool, cap off your evening off by popping into this cafe for a quick bite to eat. Lastly, another popular pool to visit in Reykjavik is the Laugardalslaug pool. The Laugardalslaug pool is also a pretty great pool in the fact that it is the city's third largest swimming pool. What makes this pool one of the best things to do in Reykjavik is the fact that it is much more than just a pool. In fact, it is more like a large recreational area. You will also find a sports hall, a sculpture museum, a gym, and a skating rink here. In addition to that, bring along your family so that you can explore the botanical garden and the family park & zoo. With plenty of attractions here, the Laugardalslaug pool is easily one of the best things to do in Reykjavik, Iceland. Be sure to block off an entire day to enjoy the facility. When it comes to the swimming pools, there are a couple of things that you should keep in mind. For starters, hygiene rules are a little different than those of other countries, especially western countries. In Iceland, you can expect that many of the private pools will have strict swimsuit rules. In other words, many pools especially the high end ones will require swimmers to de-robe before swimming. This is mainly due to hygiene concerns. Along with this, you are expected to take throughout baths before you enter all pools. Many of the pools in Iceland halve low levels of chlorine. To help make up for this, the utmost standard of cleanliness is applied everywhere you go. In addition to the clothing guidelines, you will be pleased to know that many of the pools here are thermal pools. The heated water will allow you to experience the pools all year 'round. This is pretty awesome especially if you plan on coming during the more warmer months. One of the Hallmark locations of Reykjavik is the iconic Hallgrimskirkja Church. 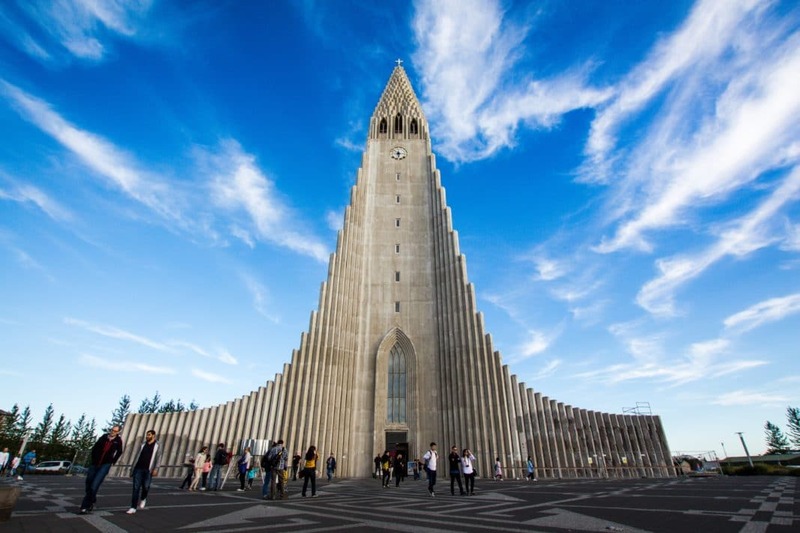 If you are planning to visit Reykjavik, then one of the best things to do in Reykjavik is to set aside an evening to visit the Hallgrimskirkja Church. What makes the Hallgrimskirkja Church so wonderful is the fact that it aesthetically amazing. This beauty is not just for show. The church remains to be in full operation as a church as well. In addition to that, the church towers over the city of Reykjavik. No matter where you go, you will easily be able to spot the tower of the church. When it comes to the tower of the church, you can actually enter it to get fantastic views of the city. 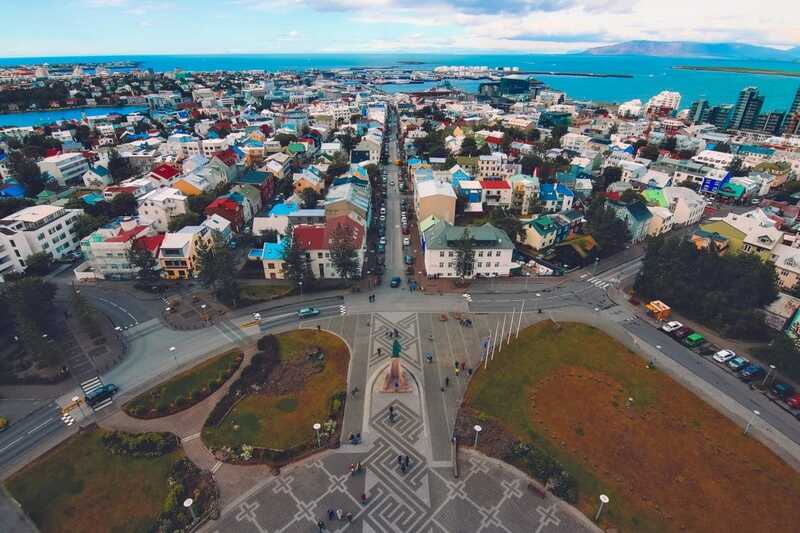 When you are at the viewing platform, you will get a 360-degree view of the entire city of Reykjavik. For many, it is considered to be one of the best viewing areas. In regards to climbing the tower, there is plenty of flexibility for when you can visit. The tower is open every single day except on Sundays. This is because they are closed for mass services. In addition to that, depending on any special events or concerts that may be going on, The church tower may be closed as well. Just be sure to check their operating hours before you head out. When it comes to the church itself, it is the largest church not just in Reykjavik, but in all of Iceland. Right off the bat, you will be able to tell that there was a unique inspiration behind the design of the church. The architecture was design by Guðjón Samúelsson. His design for the church was meant to capture the beauty of the Svartifoss waterfall columns. This natural inspiration has paved the way for this beautiful building. Visitors can appreciate the beauty of this church from a distance by soaking in its natural wonder. Other beautiful aspects of this church that you should focus on include the stunning entrance door and glass art. The glass art was designed by a local artist Leifur Breiðfjörð. This glass art reflects the light so beautifully and makes you really feel the beauty of Iceland around you. Finally, the statue of Leif Erikson is also situated in the front of the church. This statue is to commemorate Erikson who is notably credited for discovering North America nearly five hundred years before Christopher Columbus had. One of the best things to do in Reykjavik is to explore the city the way that the locals would. Ditch renting out a car an opt for strolling on foot instead. If you want to cover more ground, no worries. One of the best things to do in Reykjavik is to hop onto a bike for some adventure. Getting into the nitty gritty of the streets is one of the best ways to explore the culture of Reykjavik. Some of the top locations you should put on your list include the main shopping streets of Laugavegur, Bankastræti, Austurstræti, Lækjargata, and Skólavörðustígur. These streets are located right in the central area of Reykjavik and will give you an experience of what it's like to be a local. As you are exploring the streets, it is worth it to know the different names of the streets surrounding you. Many of the names stem from the Nordic religion. Keep an eye out for popular streets like Loki's path, Odin Street, Freya’s Street, and of course Thor Street. Along with the reference to the Nordic religions, you can expect to come across some beautiful Nordic architecture. The homes that line the city are often colorfully painted with beautiful gardens surrounding them. If you are a travel photographer looking to take some great photos, then you will love this city. There are plenty of beautiful street art designs that you will want to capture while you are here. While you are planning your itinerary here in Reykjavik, do not forget to leave out a day for lazy exploring. Going out into the streets of Reykjavik by foot or by bike is easily one of the best things to do in Reykjavik. In any city that you visit, there is a never ending amount of knowledge available in visiting the local museums. The same goes for the museums in Reykjavik. 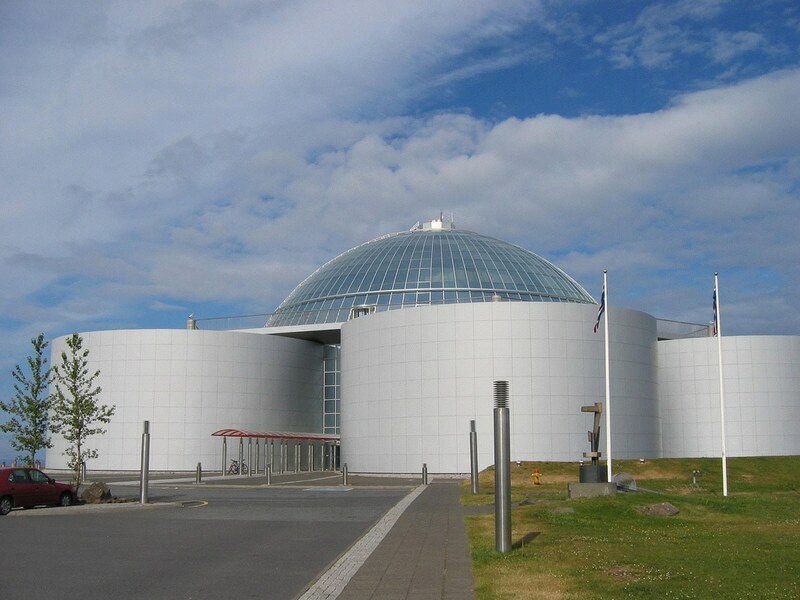 One of the best things to do in Reykjavik is to visit the National Museum of Iceland. The National Museum of Iceland takes visitors back through time. This allows visitors to explore and get an in-depth understanding of Iceland's history. In fact, visitors can expect to learn about the past 1200 years of human influence that has happened in this small country. There are two floors for you to experience at this museum. Each floor is jam packed with artifacts that are unique to Iceland. Another one of the best locations to visit and easily one of the best things to do in Reykjavik is taking some time to visit Árbæjarsafn. Árbæjarsafn is a Skansen style open-air museum that takes visitors back in time. This unique museum offers visitors the opportunity to understand not only what it means to be an Icelandic native but all the details about Icelandic culture. 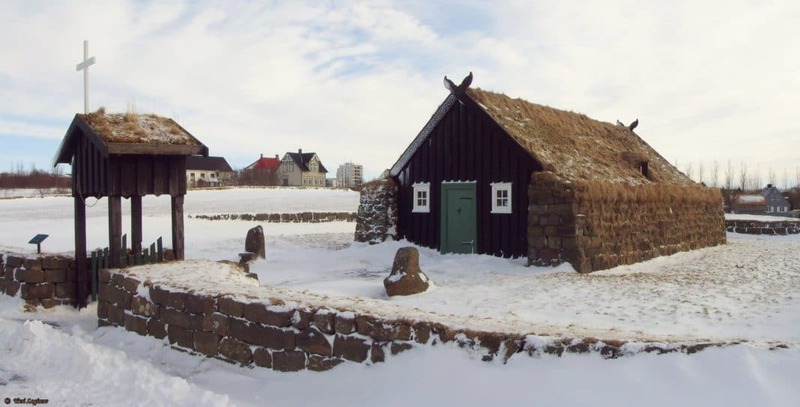 Here, visitors can expect to learn everything there is to know about the culture, work life, and home life of the Icelandic natives who lived here. The location of Árbæjarsafn is beautifully situated in an abandoned farm. It was first established on this abandoned farm in 1957. The aim of the location was to maintain the culture of old Reykjavik during the time where new construction and constant commercialization was taking place in the city. What makes Árbæjarsafn unique is the fact that there are buildings that are not replicated, but are actual authentic buildings that date back to the 19th century. Some of the authentic buildings you can expect to find here include a stable, a laborers cottage, and a blacksmith's house. Visitors will also appreciate the exhibition that dives into the Great Depression that shaped Iceland's past. If you plan on visiting Árbæjarsafn, then you do need to be a little proactive with your planning. The museum is open from June to August. During the winter months, there is special Christmas programming that takes place during the month of December. Travel into the history of Iceland in this fantastic museum. One of the best things to do in Reykjavik is to plan a day trip to Árbæjarsafn. 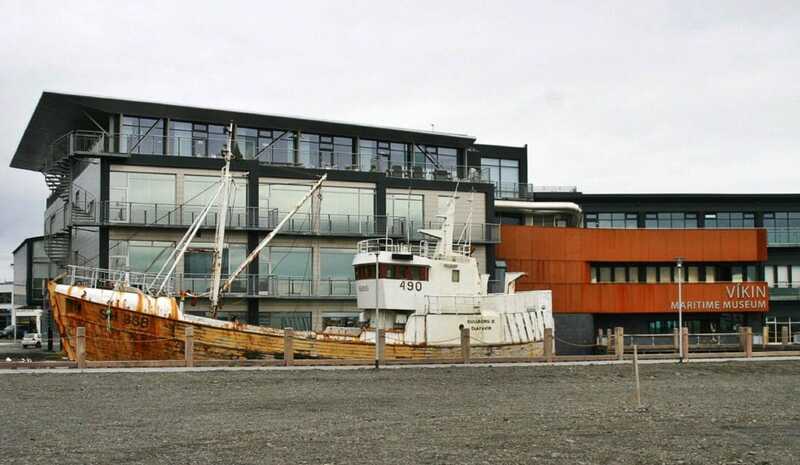 Another one of the best museums to visit in Reykjavik is the popular Reykjavik Maritime Museum. The Reykjavik Maritime Museum is one of the best things to do in Reykjavik because it gives visitors an in depth understanding of the country's dependence and close relationship with the water. The building that houses the Maritime Museum was constructed in 1947 in what was once a fish freezing factory located on Reykjavik's old harbor. In 2005, this fish freezing factory was transformed into what is now the Maritime Museum. When it comes to the history of the importance that the water had on Iceland's economy, The Maritime Museum does a fabulous job highlighting it. You can expect to find a fabulous exhibit that dives into the details of sailing in Iceland. Along with that, visitors will get an in depth understanding about the specially constructed wooden pier. Visitors will get the opportunity to visit this pier and will get a chance to see where ferries operated between Iceland, Denmark, and Scotland in the middle of the twentieth century. If you are curious about the technological advancements revolving around Iceland's fishing history, then the exhibit titled From Poverty to Abundance does a great job highlighting this. This exhibit outlines how the fishing industry was transformed due to technological advances. Finally, one of the coolest features of the maritime museum is the old Coast Guard vessel, the ICG Odinn, is a coast guard vessel that had a role in all three cold Wars between Iceland and the UK during the years of 1960 to the 70s. When you board this vessel, you can expect to find cool artifacts including a trawl warp cutter. A trawl warp cutter was a deadly device that was used to destroy the nets of UK trawlers that trespassed in the waters of Iceland. 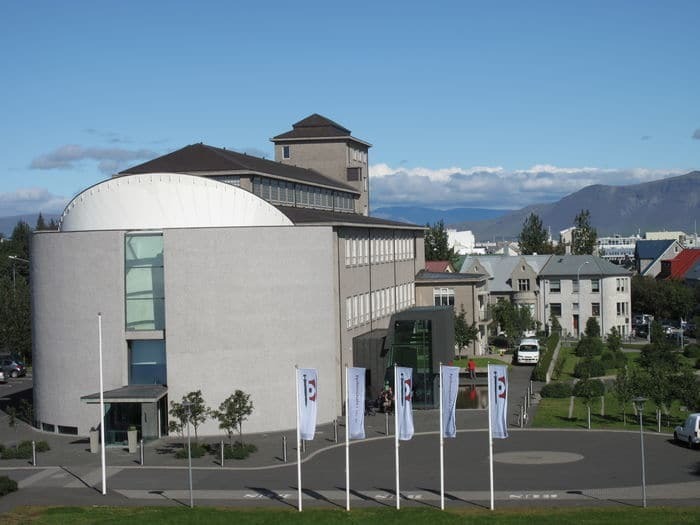 If you plan on visiting the Maritime Museum, then one of the best things to do in Reykjavik is to visit the Saga Museum as well. This is because the Saga Museum is located right next door to the Maritime Museum. What makes the Saga Museum one of the best things to do in Reykjavik is the fact that it really dives into the culture of Iceland. Iceland is known for their many popular famous figures. 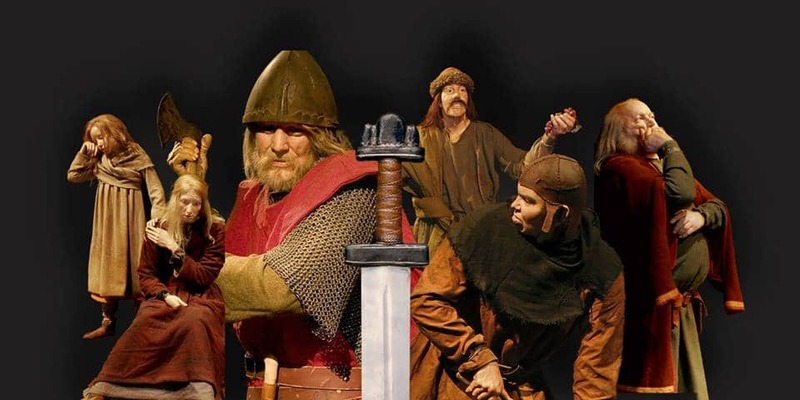 The Saga Museum does just that and takes you through a saga of the famous characters that have defined Iceland over the centuries. The multilingual audio guide available for visitors will allow you to experience over a millennium of Icelandic culture. Some things you can look forward to learning about include the natural disasters that have helped shaped Iceland to what it is today. Visitors will learn all about the details of the many earthquakes, volcanic eruptions, and diseases that have plagued Iceland. What travelers and locals alike love about the Saga Museum is the fact that it goes into such detail. Not only does it go into detail with the explanations. But the exhibits and visual aids are simply stunning. You can expect to find some stunning crafts like weapons, furniture, tools, and jewelry. These crafts perfectly replicate what life looks like years ago. What makes these artifacts unique is the fact that they were all made out of centuries-old techniques. These techniques really bring to life what it meant to live in old-time Iceland. the city of Reykjavik is notable for its many beautiful structures. One such a structure is the Perlan. The Perlan is easily one of the best things to do in Reykjavik. Reykjavik is known for its many unique Innovations. One such innovation is featured in this landmark. The Perlan is constructed with six cylindrical coil hot water tanks that were uniquely designed to be part of this fabulous building. What makes the Perlan beautiful is the fact that it is topped with a reflective dome that is not only stunning but simply unique to Reykjavik. Inside, visitors can expect to find a fabulous museum that highlights the glaciers and ice of the area. Visitors will have the unique experience of getting a hands on interaction with the exhibit. Visitors will also have the opportunity to put on gear that will help protect them from the cold elements. Then, they will make their way through a 100 meter ice cave. After that, Visitors will have the opportunity to take a look at the crevices of the ice cave and learn all about the millennia of volcanic ash in the walls. Fianally, visitors can also experience Iceland glaciers through the interactive trip located in the floor above. This interactive trip features a 360 degree image of the ever popular Vatnajokull. On the fourth floor, visitors can expect an observation deck. this observation that comes complete with telescopes and informational panels that will allow you to really see the glaciers firsthand. Drink in sights of the beautiful glaciers, the Atlantic ocean, and the many volcanoes and mountains that surround you. For the outdoor enthusiast who loves a healthy dose of science, the Perlan is easily one of the best things to do in Reykjavik. One of the best things to do in Reykjavik is to sit back and enjoy the beautiful scenery that surrounds you. There is no better place to enjoy the scenery than at Tjornin. Tjornin is a beautiful lake that reflects the beauty of the city of Reykjavik. On the banks of Tjornin, there are rows of colorful houses that are simply charming. Along with that, you will find relaxing greenery, bushes, and flower beds that come together for a simply stunning postcard-perfect view. 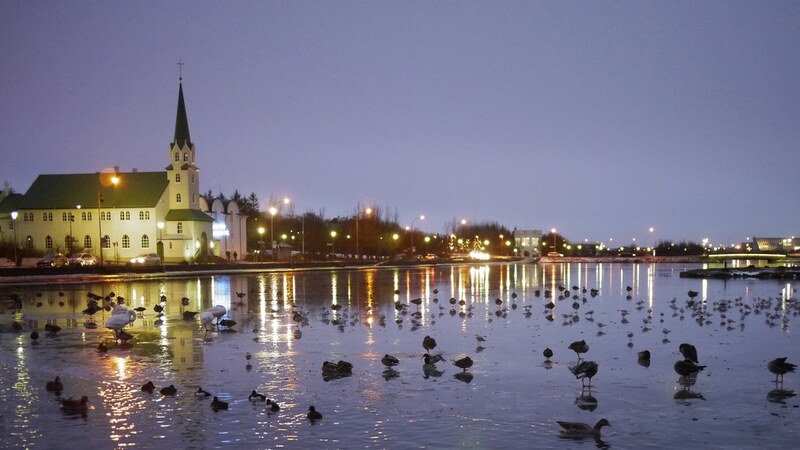 Along with its stunning beauty, the lake is close to many top landmarks of Reykjavik. For example, you will only be steps away from the Supreme Court. Not only that, but the National Theater is just a couple steps away as well. If you plan on visiting museums, then there are plenty of museums at the foot of the pond as well. You can expect to find the Living Art Museum, the National Gallery of Iceland, and the National Museum right near Tjornin. This hotspot is popular not only for locals but for travelers as well. The best way to enjoy it is by grabbing a cup of coffee and relaxing by the shore of Tjornin. Along with that, you are sure to find plenty of geese, ducks, and swans that will stroll right over to you. Because of the warm weather, these friendly creatures are here all year 'round waiting for your arrival. From the stunning history to the even more stunning architecture, there is no shortage of adventure waiting for you here. If you plan on coming to this iconic country, then be sure to include some of down time by this beautiful lake. One of the best things to do in Reykjavik is to get an in depth understanding of its unique geographical location. One of the best ways to do this is by visiting the incredibly well put together Volcano House. In 2010, the volcano Eyjafjallajökull erupted. Because of the sever eruption, there was an international spotlight that was put on Iceland's volcanoes and seismic activities. This international concern, however, can be settled rather quickly by taking a trip to the Volcano House. The Volcano House features a stunning range of objects that seem out of this world. 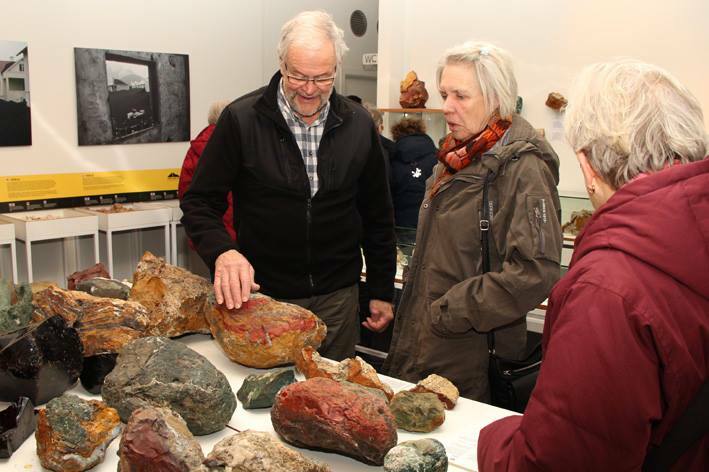 Visitors can expect to find samples of ash, pumas, obsidian, and lava from some prominent volcanic eruptions. In fact, the eruption from the volcano Eyjafjallajökull has allowed the Volcano House to collect some stunning samples from this volcanic eruption as well. To visit the Volcano House, you will be glad to know that they are open every day of the week from 9 a.m. to 10 p.m. For the most part, the exhibitions are free for you to walk in and stroll through. If you want an even richer understanding of the volcanic eruptions, then you can pay to visit the stunning documentary that dives into the eruption of Eyjafjallajökull. For science enthusiasts and geography lovers, paying a visit to the Volcano House is easily one of the best things to do in Reykjavik. 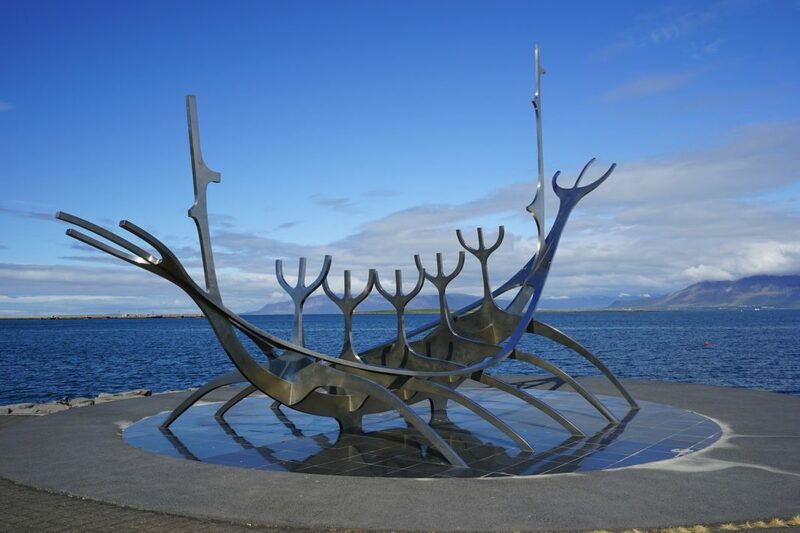 Another one of the best things to do in Reykjavik is to visit the beautiful Sun Voyager. The Sun Voyager is a unique sculpture that captures the iconic culture and history of Iceland and it's people. This mesmerizing sculpture is hard to miss. It is located right next to the Saebraut road. For any art lover, it is easily one of the best things to do in Reykjavik. The artist behind this beautiful sculpture is the iconic well known Gunnar Arnason. If there is anything that Scandinavians and Vikings specifically were known for it was their sense of exploration and adventure. Their mission of hope and wonder about the world in which they lived in was an integral part of their culture. Art historians speculate that Jon Gunnar Arnason wanted to capture this image with his sculpture. His main goal was to convey the promise of undiscovered territory. Along with that, the hope of freedom and the theme of progression is an integral beam of the inspiration behind this sculpture. When it comes to the structure itself, visitors will find that it is constructed of high-quality stainless steel. It is also situated and settled on a slab of beautiful marble. This stainless steel gives the Sun Voyager a fabulous and even powerful glow when the sunlight strikes it. Currently, locals are in deep debate in regards to the Sun Voyager for several reasons. For starters, some locals have taken issue with the final location of the Sun Voyager. There are some who are satisfied with its current location, while others argue that it should be facing west. Facing west will help emphasize the mission and vision of exploration that the Sun Voyager is supposed to display. Not only that, there is some issue regarding the meaning behind the Sun Voyager. Some spectators believe that the construction behind the boat was not one of Viking inspired goals. Rather, some argue that the Sun Voyager was constructed with Arnason's wish for it to be a dream boat. Specifically, one that transported the souls of Scandinavians to their final resting place. While there is still some confliction in understanding the true meaning of the sculpture, all can agree that it is simply beautiful. without a double, it is easily one of the best things to do in Reykjavik. When it comes to some of the best sights to see in Iceland, visiting The Golden Circle is easily one of the best things to do in Reykjavik. The Golden Circle is one of Iceland’s most popular tourist routes. This tourist loop is one that covers around 190 miles. The Golden Circle loops around Reykjavik and into the southern uplands of Iceland. This stunning land mass is a popular destination because there are some hot spots that leave a mark on every visitors day. When it comes to the Golden Circle, there are three main attractions that visitors can look forward to seeing. The first popular hotspot is the Pingvellir National Park. This national park is just stunning when it comes to exploration. Soak in the beautiful landscape of rolling hills and beautiful streams that surround you. Another hotspot is the Geysir Geothermal Area. When it comes to the Geysir itself, it is actually rarely active. However, visitors will find a range of hot springs and other geysers scattered around the Haukadalur Valley. 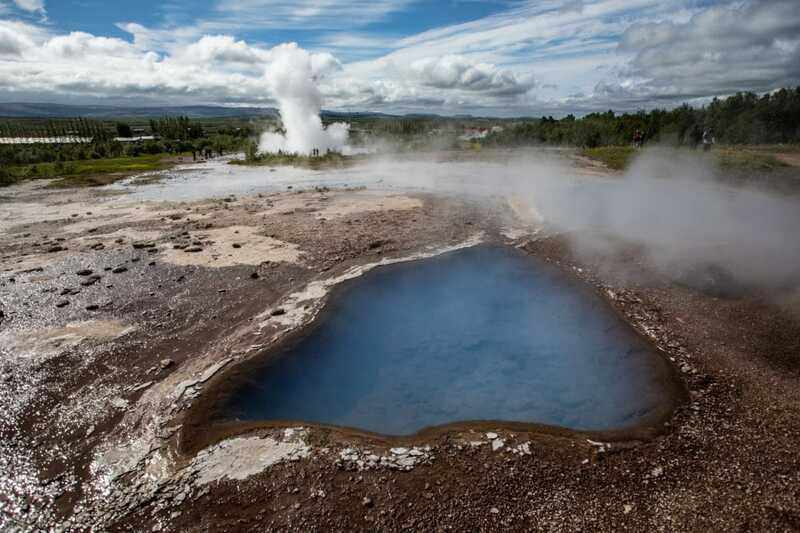 Be sure to also keep your eyes peeled for the popular Strokkur geyser. This popular hot spring is known to spew boiling water o to 130 feet high into the air. Finally, another popular location to check out is the stunning Gullfoss waterfall. This waterfall is arguably one of the most iconic in Iceland. It is located in the south-west of Iceland in the Hvita river canyon. It cascades down over 135 feet and is a stunning performance of the beauty that Iceland has to offer. When it comes to the country of Iceland, there is no shortage of beauty to witness in this stunning county. The same goes for the iconic city of Reykjavik. While there is no best time to plan a visit to this beautiful location, locals will tell you that anytime you come, you are sure to find a fantastic adventure waiting for you to happen. As you plan your trip to Iceland, be sure to allow plenty of time so that you can explore this beautiful city.